A Kwame Nkrumah quote — “Those who would judge us merely by the heights we have achieved would do well to remember the depths from which we started” — is one Ntwanano Sipho Mapfumari keeps on his mind all the time. At just 26, Mapfumari has reached some heady heights. Having completed his MSc in Biochemistry looking into the effects of geographical location on the phytochemical composition of the leaves of senna italica collected from four districts across Limpopo, he is now working on his PhD in Pharmaceutical Sciences. Mapfumari is also the co-founder of the educational organization ThinkBig39 and the founder of the entertainment organisation SMU Got Talent and the Progressive African Socialist Students Organisation. 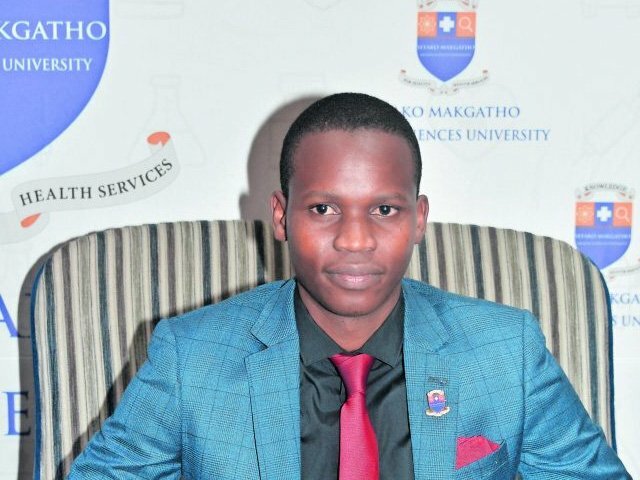 In addition to being a part-time lecturer and mentor to postgraduate students, he is also an executive member of the SMU-Medunsa Alumni Association. Serving his community and leaving an indelible mark on the world is precisely what Mapfumari aims to do.